Every one of the cats who has been a part of this series has had an almost Sisyphean encounter with fame. Louis Smith is no exception. Born in Memphis in 1931, Louis Smith began playing the trumpet as a teenager. He graduated high school with a scholarship to Tennessee State University, where he majored in music. After graduating from Tennessee, Smith continued his studies at the University of Michigan, which afforded him the opportunity to play with Miles, Diz and others as they passed through Ann Arbor. After a stint in the Army, Smith began teaching high school in Atlanta by day and jamming in the clubs at night, again impressing visiting jazz stars with his Fats Navarro/Clifford Brown influenced style. The next year, he recorded his debut as a leader, assembling an impressive group, including Duke Jordan, Tommy Flanagan, Art Taylor, Doug Watkins and on alto saxophone, “Buckshot La Funke”, who was more commonly known as Cannonball Adderley. The record label, Tom Wilson’s Transition Records, went out of business before the album could be released. However Alfred Lion, knowing a good thing when he heard it, bought the masters and signed Smith to an exclusive contract. The album was released as Here Comes Louis Smith. 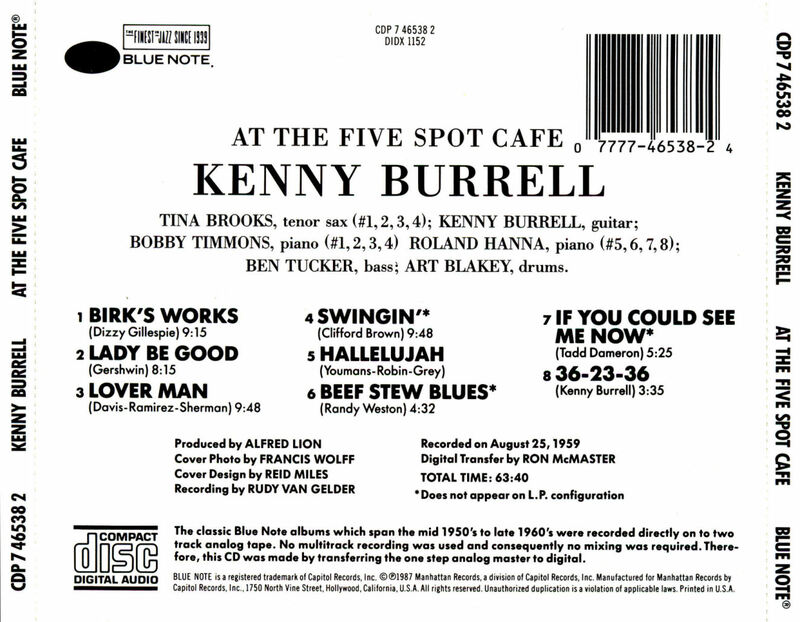 In 1958, Smith appeared again with Burrell on the now classic Blue Lights sessions and on another Blue Note date under his own name, Smithville; with Charlie Rouse, Sonny Clark, Paul Chambers and Taylor. He also briefly joined Horace Silver’s group. There was thought to be no recorded evidence of his time with Silver, until the discovery and release in 2008 of the amazing Live at Newport ’58 album. At 27, Louis Smith seemed destined for jazz stardom. However, seeking security and stability, Smith abruptly retired from the music business, moved back to Ann Arbor, and taught at the U. of Michigan and in the public school system for the next 20 years. In 1978 Smith returned to the scene with two albums over the next two years, on Steeplechase: Just Friends and Prancin’. Smith was in fine form on these albums, proving that the twenty year absence had not affected his chops – which may have been why he took another eleven year sabbatical before his next recording, Ballads for Lulu, in 1990. Smith then retired from teaching and got down to some serious recording, making nine more discs, all on Steeplechase, between 1994 and 2004. Unfortunately, we are not likely to hear anymore from this should be legend; Louis Smith suffered a stroke in 2005, resulting in aphasia, which has robbed him of the ability to play the trumpet and makes verbal communication very difficult. He is said to be improving, thanks to intensive therapy, including music therapy. We wish Louis Smith well in his recovery. On Volume 2 of Unsung Heroes, Brian Lynch dedicates his composition “’Nother Never” to Louis Smith. Once you hear Mr. Smith play, you’ll understand why. 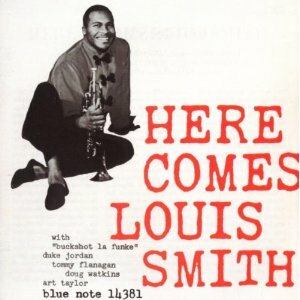 This entry was posted on March 15, 2011 at 10:16 am and is filed under Obscure Trumpet Masters, The Jazz Continues... with tags Louis Smith; Horace Silver; Blue Note Records; Transition Records; Brian Lynch; Unsung Heroes; Jazz Trumpet. You can follow any responses to this entry through the RSS 2.0 feed. You can leave a response, or trackback from your own site. Louis Smith was such a lyrical trumpeter and I dig his “Smithville” album quite a bit. quite got the recognition he richly deserved. Bravo Louius Smith and RIP Phinease Newborn Jr.
Hi Craig. Thanks for catching my error. The post has been up for several years now and you’re the first to notice the mistake. What I meant to reference was Burrell’s Blue Lights on which Louis SMith does appear. Thanks again and I will update the post to reflect the change, shortly. Louis Smith is being honored at a tribute to him and his great career. The Event is taking place in Ann Arbor, Sunday, June 14th at 2 p.m. at Bab’s Underground Lounge. Sponsored by the University of Michigan Aphasia program. The event is to help with aphasia awareness, a language disorder from brain injury. Louis will be given a proclamation by the mayor. He will be surrounded by adoring fans and given lots of love.